One argument that’s taken as a token of faith by many abortion opponents is that women who have abortions often end up regretting the decision later on down the line. 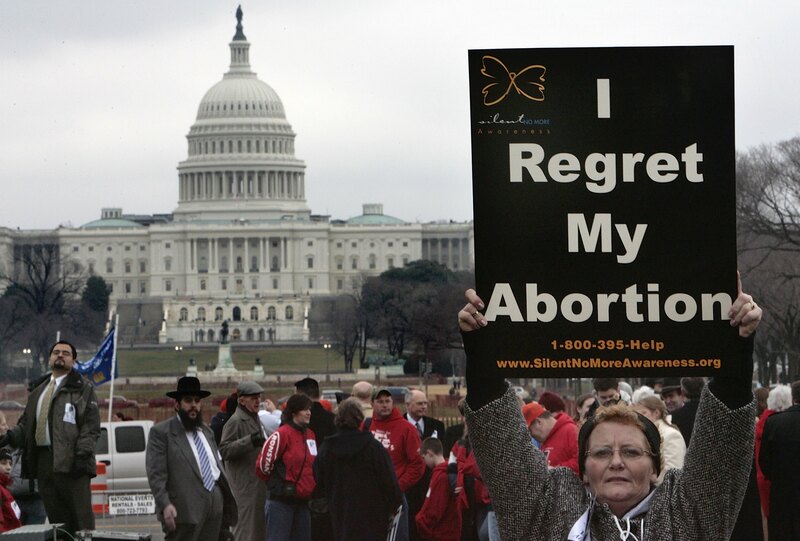 That was certainly the case at the Texas State Capitol last month, where “I Regret My Abortion” and “Women Do Regret Abortion” signs were commonplace in the pro-life crowd. But isn’t regret an intangible, nebulous emotion? How can you measure it within an individual, or gauge its prevalence amongst an entire demographic? Simple: You ask the women who've actually had abortions. And once you do that, it becomes clear that the people holding those signs are, well, making things up. A group of researchers at UC San Francisco studied the emotional responses of 843 women who had either received or been denied abortions at 30 facilities across the U.S.. Specifically, women were asked to report a) the feelings they experienced post-abortion (the options being relief, happiness, regret, guilt, sadness and anger), and b) whether they thought their decision was the right one, regardless of their emotional response. Let’s start with the most pertinent result: 95 percent of women who had abortions felt, in retrospect, that it was the right decision. One might argue that this alone is the study’s most relevant finding, at least as it pertains to the claim that women regret their abortions. It gets complicated, though, when you put these results side by side with the women’s emotional responses. For example, eight out of ten women who reported feeling primarily negative feelings after their abortions nevertheless said they thought having the abortion was the right choice. Even amongst women who specifically reported feeling “regret” at their decision, 89 percent ultimately stood by their choice. This implies two things: First of all (and this shouldn’t be a surprise to any rational person) a woman’s emotions surrounding the decision to get an abortion are extremely complicated and don’t fit neatly into one box or another. Secondly, and relatedly, we might want to stop using the term “regret” in conversations about abortion rights. The word is often assumed to mean, “I made the wrong choice” when in actuality, it often means something more like, “I feel sadness over the necessity of this choice but still recognize that it was the right one to make.” This study suggests the latter reaction is a commonplace one for women post-abortion. If you look solely at emotional responses women had, though, and ignore the “was this the right choice?” question, the results are clear: Women who were denied abortions felt fewer positive emotions and more negative ones one week after the denial. If nothing else, this study highlights the ludicrous over-simplicity of a blanket claim like “women regret their abortions,” as if all women shared the same emotional responses, and emotions were a zero-sum game. It also serves as a reminder that, in America, people should actually have the freedom — and the fundamental right — to do things that they ultimately end up regretting.